CELEBRITY hangout La Sala welcomed a pair of north-English gems last weekend. 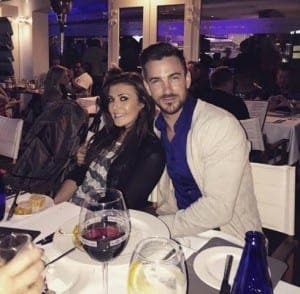 Coronation Street star Kym Marsh and Match of the Day pundit Mark Lawrenson graced the Puerto Banus restaurant during their respective trips to the Costa del Sol. Former Hear’say singer Marsh wined and dined with her fiance, while ex-Ireland and Liverpool footballer Lawro tucked in to a slap up meal at one of his favourite holiday haunts.